Curiosity Killed the Bookworm: 5 Year Blogoversary! Today marks the fifth birthday of Curiosity Killed the Bookworm. In some ways I feel like I’ve come full circle with this blogging thing. Like so many of you, it all started as a place to write some words about something I love, books! Then it’s all too easy to get caught up in the madness of review copies. We all go through periods of amazing productivity and enthusiasm, but I do want to spend a little time today talking about taking it easy. TLDR? Scroll to the bottom for the giveaway! Photo by: Geoff Gallice/Creative Commons 2.0. I can understand totally why publishers want to give review copies to new bloggers. I see grumblings from time to time that proofs are handed out like candy to anyone who wants them. First off, it’s the publisher’s choice to do whatever they want with their publicity and marketing budgets. When you think a little harder about it, why wouldn’t you want the fresh enthusiasm and excitement for books that newbies bloggers often have in bundles? Don’t get me wrong, I think us established bloggers can get incredibly excited about books still, but maybe we have been become dulled to the thud of yet another new book dropping through the letterbox. Honestly, I can’t summon anticipation for yet another unsolicited crime novel when I have asked not to be sent them. I feel like I am pretty reserved with my praise; my reviews often being more critical than a publicist might want, even if it’s something I liked. But this is where things come full circle, I am blogging primarily for me again. I try to read books when I want to read them. I do have a little more structure this year due to setting myself a monthly quota of classic, graphic novel and non-fiction, but these are all books I’m picking out for myself. It’s widening my reading beyond what’s new and shiny, things that often reach saturation level on social media and make us switch off. Obviously I’m only human and I do get caught up with wanting to read new enticing books. I do get a little bit jealous when I see those books I want to read going out and I don’t get one. But I don’t act on it. I can buy them if I really want to read them, and half the time, when publication date comes along, that shininess and desire has worn off. Like the rest of you, I don’t have time to read everything I want, even if I didn’t have a day job. I have a sense of being a bit detached from the blogosphere right now. It’s exhausting keeping up, always being on social media to join in chats or knowing what the latest hot potato is. I don’t always want to read the current in thing (and there’s always so many of them) and I don’t always have the time or money to go to events. I haven’t done an opinion piece in so long because half the time it feels like it is just stirring things that can actually just be left in peace. Click bait journalism has spread to blogging and I certainly don’t want to contribute. My stats are down, but you know, I don’t care as much as I would even a year ago. I have things going on in my life, exciting things like buying my first house. God that is all consuming and stressful, yet it makes picking up a book a little treat. I can’t blog every day, I never have had that kind of focus, now actually I’m pretty chuffed at the moment to have time to blog once a week. So what I want to say to everyone who has been blogging a while and is starting to get fazed by it all, give yourself a break. If it is truly a hobby, do it when you want to. Do the things that make you happy or feel fulfilled. Don’t bog yourself down with what you think you should be doing based on someone else’s rules. I know plenty of bloggers who treat their blog as if it were a second job. It’s great to have that level of professionalism but you wouldn’t not take time off your job, would you? You get holidays and sick leave. Some people even take sabbaticals. If your paid job can cope without you for a week or two, so can your blog. 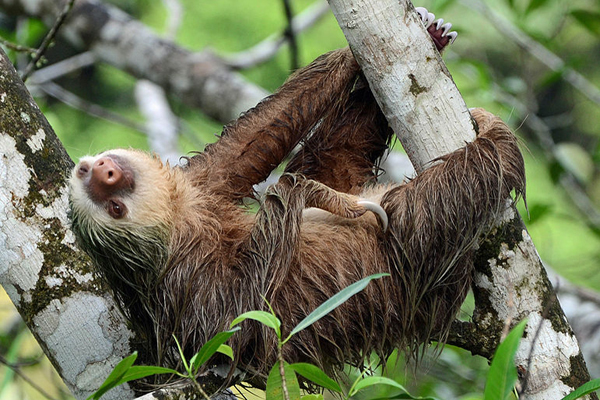 The secret to keeping a blog going long term is channelling a little bit of sloth. I wanted to do something a bit different for this year’s celebratory giveaway. In the spirit of Ninja Book Swap and various subscription boxes, I would like to give one lucky reader a special, hand-picked bookish box. It will include at least two books and a bunch of gifts related to things the winner likes (as well as a few edible treats). I will send the winner a few questions and ask for a wishlist to help the process. The giveaway is open internationally and you don’t have to follow to enter but I’d love it if you did. Happy blogoversary! What a perfect theme for a post celebrating 5 years! I've always struggled with not being able to post as much as I might like and over the past year or so I've got to the point where I'm comfortable with only posting when I can and I don't write any more 'sorry for not posting' type posts so that I don't inadvertently make myself feel guilty. I'd love to have the time to post daily but I'd have to sacrifice time with Andy or with friends or probably actually having time to read at all if I was to do that and that seems barmy. You're totally right about it being a hobby - it just has to fit in around everything else and that's totally fine. Congratulations on making 5 years! A person can't blog that long and not have lulls from time to time - unless you're heading for burnout. Take the breathing space you need. Thanks for the chance at the great giveaway - and having it open internationally!! Happy Blogoversary fellow Ellie! I know exactly what you mean about review pressure and blog pressure and social media pressure... I bowed out of all of them, in that order, and felt SO MUCH BETTER. Kudos to you for a calmer approach, haha. I'm back on the blog after a whole year away from it and honestly, I wasn't sure I'd start writing again - but I was surprised at how few people disappeared from my follower stats along the way, and now my whole approach is way more relaxed and 'what I want, when I want' which is nice. I was spending more time blogging than reading and that wasn't doing me any favours, y'know? Congratulations on reaching the big 5 years! I gave up on my own blog after 3 years because it had stopped being fun. Like you said it was like a second job and I found that it was distracting me from real life - plus all the books I ended up reading were the new exciting one rather than ones I actually wanted to read. Now I'm back to reading my favourite authors and even re-reading some old favourites - something I never did when I was blogging. So huge kudos for making it this far and getting the balance right! Yours is one of the few blogs I still keep up with and I always pick up some interesting new reads that I probably wouldn't have otherwise looked twice at. Congrats again! Yay, five years! Go Ellie! And good luck with your house-buying, hope it all goes swimmingly. A place all of your own - how exciting! I completely agree about doing blogging your way; if that's taking part in the pre-awareness publicity for a book, great, and if it's just generally chatting about what you've read and loved, and life and other topics, that's also great. I think you're doing a great job, and I love reading your posts. I'm a couple of weeks away from my first blogoversary, and I think I've come to a similar spot as you. I got really caught up in Netgalley (just cracked 40% the other day! ), then blog tours, and now I'm trying to control my book hoarding urges. I'll no doubt have sprees in the future, but I'm trying to put in place control and efficiency when it comes to my blog (which has become more interesting than my day job). I also try to schedule a few things ahead of time so that if I have to take a short break due to mental health, I don't feel as guilty. Anyway, CONGRATULATIONS!!! And I love the giveaway idea!